Graco Announces Biggest Car Seat Recall in History | Hupy and Abraham, S.C. Please visit the recall website to check if you are eligible for a replacement. Child safety seat manufacturer Graco has recalled nearly 3.8 million of their car seats due to defective latch models that date back to 2009. 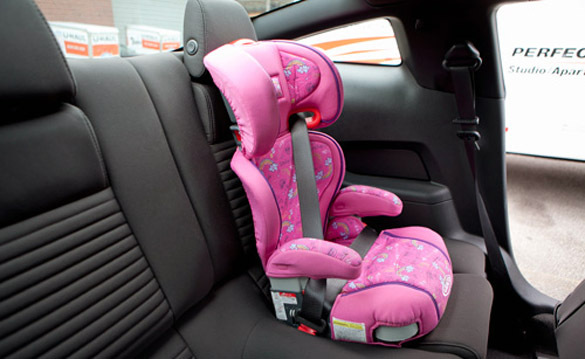 It is reported to be the fourth largest child safety seat recall in U.S. history, but the National Highway Traffic Safety Administration (NHTSA) claims the recall should have included an additional 1.8 million car seats. Wide-ranging consumer complaints have claimed some of Graco’s car seat buckles do not come unlatched. In some cases, parents have had to cut the harness straps to get their child out of the seat. Thus, Graco has initiated the recall and is offering new and improved buckles free of charge. But the National Highway Traffic Safety Administration believes Graco should have recalled 1.8 million more rear-facing car seat designs that use the exact same buckle. According to Graco, the harness buckles become sticky and harder to use when certain foods and beverages are spilled on them. At the time of the initial recall Graco said that this was not an issue with the rear-facing models. However, five months later, Graco sent a letter to NHTSA stating that “further investigation showed a higher than typical level of difficulty” when trying to open the seat buckles. The addition of the infant car seats to the recall brings the total number to 6.1 million. A free replacement buckle is being offered to all owners of the related car seats models by Graco. At www.gracobucklerecall.com, customers can enter the model’s name and date of manufacture to see if they are eligible for a replacement.